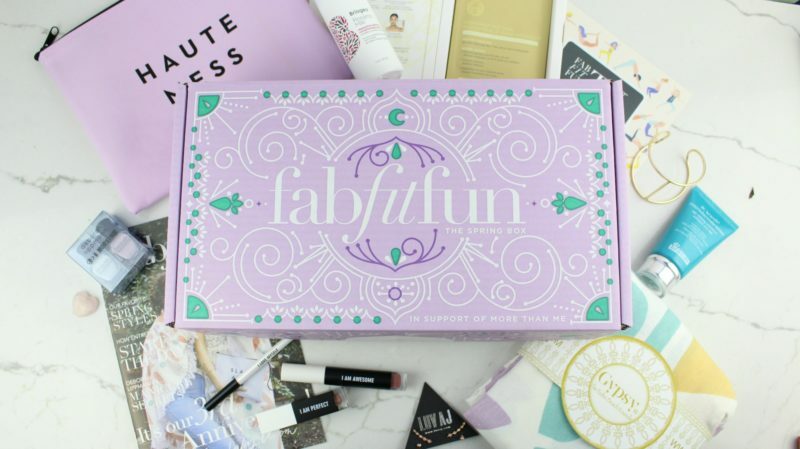 Fab Fit Fun is a quarterly subscription service full of all full sized products. 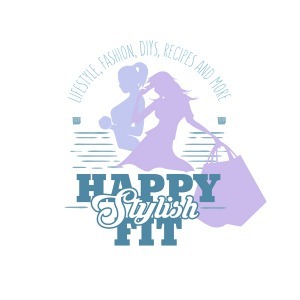 Generally there are always products in the fashion, beauty, hair, jewellery, and fun categories, and as usual, this was another jam packed, well curated box from the Fab Fit Fun team with a total value of over $350. They perfectly encompassed a spring boho vibe with their Gypsy 05 Roundie, jewellery, and beauty essentials. Bill Xiang founded RealHer so his daughter would have non-toxic, empowering cosmetics to use. After learning how important daily affirmations can be for the development of his daughter Bill decided to put short affirmations on all of his products, and I love seeing the empowering messages every time I reach for my lippy. I really like the lip liner, and was impressed with the lasting power of the liquid lipstick and lip gloss, but I did find the gloss to be a bit sticky. It’s fine for my shorter hair, but is likely to be an issue with longer hair. Value $48.00 USD. This cute nail polish duo has the perfect shades for spring. I haven’t had the chance to use it yet, but I can’t wait to get my toes ready for sandal weather with this cutr set, and with a 7 free formula you don’t have to stress about the ingredients. Value $19.00 USD. Every Fab Fit Fun box came with either the gold cuff, or the ear crawlers, but VIP members were able to opt to get both for an additional $10 USD. Naturally I had to get both. This cage bracelet is the perfect spring and summer accessory. 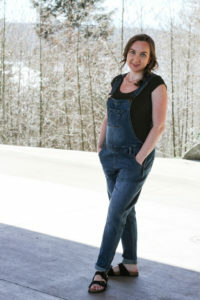 I’ve worn it almost every day and have received lots of compliments on it. It’s light weight with a beautiful design, and can be paired with a jeans and tshirt outfit, or with a cocktail dress. Value $80 USD. Made out of 14K rose gold with sparkling stones this earring set is a great way to add a bit of bling to almost any outfit. They’re easy to wear and stay in place well. I have super sensitive ears and I found that one ear got a little swollen and sore, but I think it’s because of how tight it was, rather than the quality as it only affected 1 ear. Value $85 USD. I have become obsessed with this microdermabrasion! Normally products like this are too rough on my sensitive skin and leave my face feeling dry and puffy, but this product leaves my skin feeling nice and soft. I’ve been using it once or twice a week, followed by a moisturizing face mask and have been loving the results. I highly recommend trying it, especially if you’re like me and struggle to find a good product like this for your sensitive skin. Value $79 USD. I’ve only used this product once so far and have been quite happy with it. It moisturized my hair without weighing it down. I’m looking forward to trying it more to see the long term results. Value $20 USD. This cute pouch is super versatile. It’s the perfect size for a wet bikini, or to keep your things organized in your large tote bag. With cheeky designs like “beach please, resting beach face, slay all day, and haute mess” you’ll love to pack this pouch around. Value $45 USD. I love the fun colours in this cute roundie from Gypsy 05. Another versatile product that can be used as a picnic/beach blanket, wall hanging, or shawl. My roundie has helped springify my living room as a throw on my couch. Value $50 USD. All Fab Fit Fun members have the option to purchase add ons. Since I prepayed for an annual membership I always get sucked in to purchasing some add ons since I’m not already billed quarterly. They have so many add ons to choose from. Some are products that were featured in previous FFF boxes, and others are new products or other product lines from featured brands. It is important to keep in mind that all items in your cart will automatically be billed at a certain date. Fab Fit Fun does a great job of reminding you of this in emails and on their website, but I know of some people that have ended up with way more items than they had originally planned on purchasing because they didn’t notice this policy. So be careful, and make sure your cart has what you want in it before the billing cut off date. I couldn’t resist these cute boot crew socks for just $7 USD. I probably won’t wear them too much as the weather warms, but they’ll get lots of use come fall. Value $12 USD. That’s right, I got a fanny pack. For $9 USD I couldn’t resist this cute pouch that’s perfect for going on hikes and runs with the dogs. #FannyPackProud Value $24 USD. I haven’t had a chance to use these cute little blending buds, but I can already tell they’re of way better quality than the ones I’m currently using from Amazon. And for only $5 USD when they’re valued at $12 USD I consider it a steal of a deal to try a new brand. I was really impressed by this pallette that I only paid $14 USD for. It has a great combination of matte and shimmery colours that are highly pigmented yet very blendable. Although I’m able to find some great combinations, as I said in my IG Stories, this palette is perfect for people with green eyes. It has a great combination of purple and greenish shades that would really make those green eyes pop. Value $34 USD. ***I forgot to include the Karuna Hydrating Face Mask valued at $28. I’ve used one of them and found it to be quite moisturizing. It’s great to use after the microdermabrasion treatment. As you can see the Spring Fab Fit Fun Box packed quite a punch. All members received $360 – $374 USD worth of product (depending on the jewellery option) for just $49.99 USD. With my add on splurging I received $536 USD for $92.99 USD with shipping. Although I spent more than I probably should have it was so so worth it for all of the great products that Fab Fit Fun has curated. If you’re interested in trying the Fab Fit Fun box use code “FLOWERS10” to receive $10 off your first box. You can also check out my previous Fall 2016, Summer 2016, Spring 2016, and Winter 2015 reviews to see what other boxes look like. If you’re interested is seeing what’s inside other subscription boxes please comment below and I’ll review them for you! I just got my box, it is missing the bracket. ??? ?